Check out my home and building inspections, residential or commercial! — $25 OFF Today Only! What is our 200% guarantee? Here at The Inspection Boys, we guarantee your clients will be 100% satisified at the time of inspection and if they are not we will refund them the full inspection ( up to original inspection value) AND pay for another inspector of their choice to inspect the home. 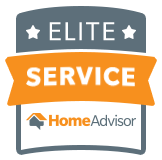 We are confident in our home inspections to provide the best quality inspections and best customer service to help you and your clients build a more trusting relationship when referring us. Contact a Nassau County Home Inspector! Get Information About A Home Inspection Now! The inspection boys were very thorough and informative as the inspection went along. Fantastic experience from beginning to end. Shadowed Joshua throughout the process and learned a lot from listening to him speak about anything and everything that was encountered. Would highly recommend to anyone looking to have a better idea of how much work they would have to put into a house after buying as well. Would certainly recommend and use Inspection Boys of Nassau again! My wife found the Inspection Team Nassau Boys on-line and we decided to try them. I was very happy with the service. Josh was our inspector and was very professional. I was skeptical initially but they exceeded my expectation. Thank you guys. Joshua was thorough, detailed and very patient with our questions. He was an informative, thoughtful expert who communicated his expertise very intelligibly. That was especially useful for us since we were lifelong apartment dwellers with little knowledge of a home's inner workings. The inspection was an education. Highly recommend the inspection boys. Very detail, professional and careful inspection. I am impressed when Joshua climbed up to the roof to check things up. He explained every little details and the report is also very thorough. He noticed the inconspicuous structural problem at the rear of the house, and figured out the problem. Enter your information below to download this free e-book home safety guide. 225 pages of ways to keep your home safe. Child Safety, Carbon Monoxide, Mold & More!